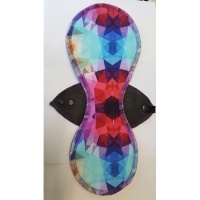 MiniVivi Reusable pads are made on a small scale in the UK. They largely concentrate on incontinence care but they can also be used for menstruation. They are well known for the fantastic absorbency.